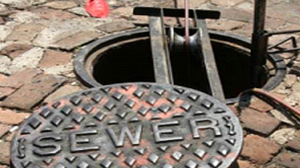 Sanitary sewer manholes are often largely responsible for inflow in a sewer system. Some studies have indicated that up to 50% of a system’s total inflow can be credited to leaking manholes. Defects in manholes like defective brickwork, seals, joints, and covers are significant sources of inflow, and can also be indicators of possible structural weaknesses that may lead to failure. Our technicians can solve your manhole inflow problems by restoring your structures to like new condition faster than they could be replaced for less than the cost of a replacement.